Location – 208-209 High Holborn, London WC1V 7BW. 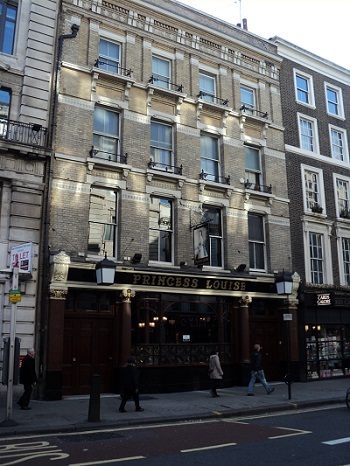 Considered one of the finest Victorian Pub interiors in London, The Princess Louise is situated in High Holborn but near to Bloomsbury. 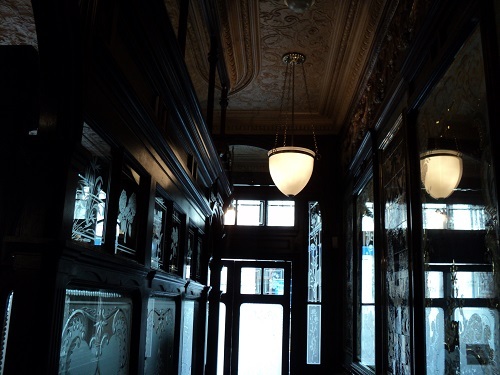 Although the outside of the pub is unremarkable, walking through the doors is like entering a Victorian world frozen in time. The first surprise is series of booths surrounding the bar, each booth is large enough for around 8 – 10 people. 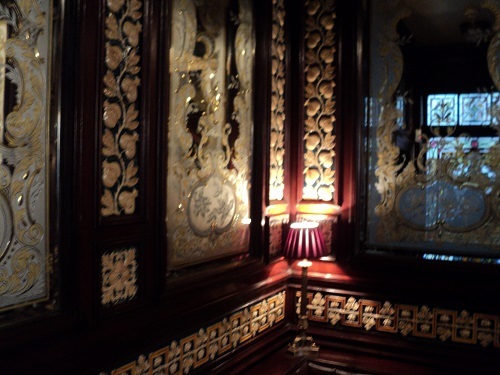 Each booth has wood panelling and glass partitions, whilst the larger bars have wonderfully tiled interiors. 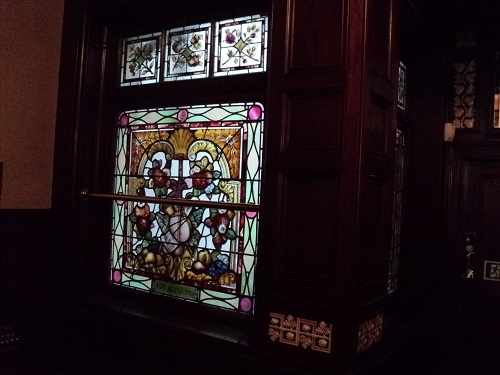 The pub has a Grade II listing and unusually even the men’s toilets with their marble urinals are listed. 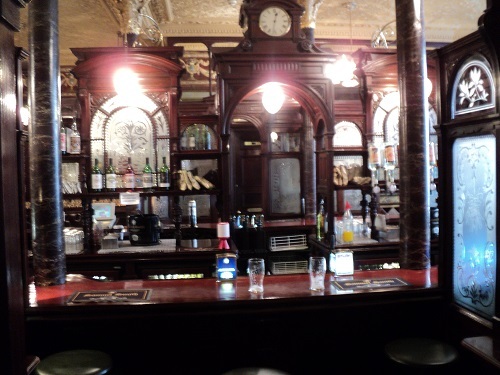 The Pub is owned and run by the Samuel Smith Brewery who sell their own beer which is considerably cheaper than most other pubs in London. 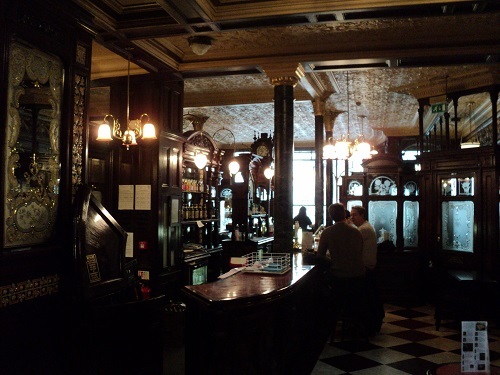 The Princess Louise often features in the Top London Pubs lists for its stunning interior rather than the quality of its beer. 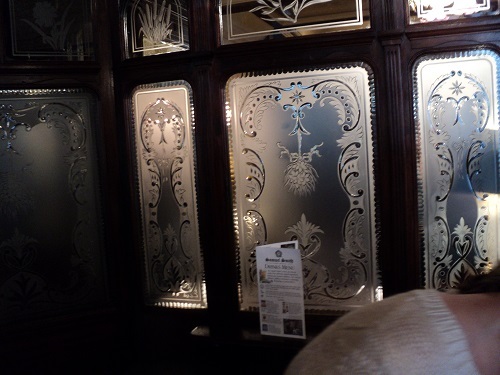 By londonvisitors2014 in Bloomsbury, Pubs of London on December 24, 2013 .